If you have a problem in your crawl space, contact the expert crawl space contractors at Advanced Basement Systems today to schedule your crawl space inspection and free cost estimate in Chatham and surrounding areas in Ontario. 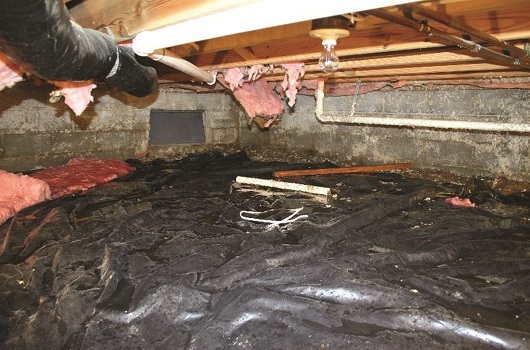 Problem: This wet crawl space was causing problems for these homeowners in southwestern Ontario. The humid and moist environment caused their traditional fiberglass insulation to fall and become ineffective. Their entire home smelled musty as the odours from the crawl space affected their entire home. Solution: We sealed off the outside environment which was causing the humid crawl space environment, encapsulating it with our heavy duty CleanSpace® Liner. For improved comfort and better energy efficiency, we also used Spray Foam Insulation. Problem: The paving stones outside this basement were not properly graded and over time water was entering the basement through the window structure. Solution: Our team installed a window well with improved drainage and means of egress. You can learn more about our basement window waterproofing by clicking here. Problem: A dirt floor crawl space can cause many problems in a home. High humidity is an unhealthy environment and a breeding ground for mould and allergens, as well as damaging to organic structures such as wood beams, joists and flooring. Solution: We completely sealed this crawl space with our heavy duty crawl space liner (so durable you can easily walk on it and store items on it) – now the crawl space is dry and clean. Problem: This dirt floor crawl space is allowing moisture into the home constantly with the earth being exposed. The humidity is high and there are odours in the main level of the home. Solution: By installing an encapsulation system (moisture barrier) we can isolate the home from the earth. We also want to seal off all outside air. This space was also dehumidified to condition the air. Problem: These homeowners were experiencing the negative affects of a damp, musty crawl space throughout their entire home. Solution: We sealed the vents, updated their existing sump pump and encapsulated the entire crawl space. 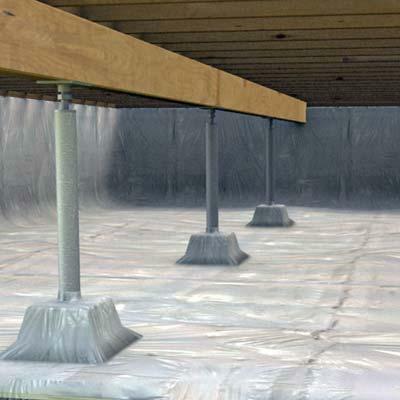 Our CleanSpace Liner stops moisture from passing through the dirt floor and porous concrete walls. Now the homeowners are enjoying a healthier home! 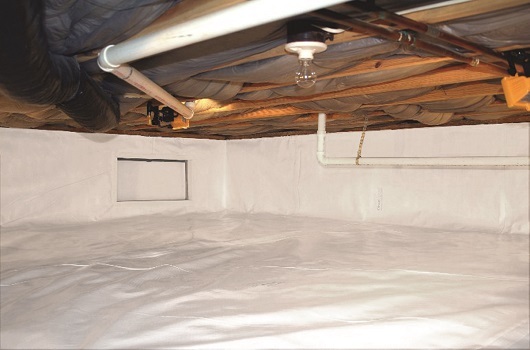 Whatever your crawl space issues - moisture, settlement, uneven floors, water or flood damage, pests, mold, or damaged insulation - Advanced Basement Systems has the perfect solution. 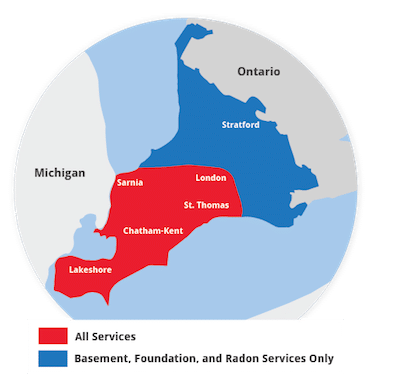 Call 1-844-320-1542 today to schedule your on-site crawl space repair consultation and free cost estimate, available in London, Windsor, Chatham, Sarnia and surrounding areas in Ontario.